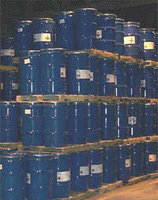 PAK Technologies, Inc. is among the Midwest's largest comprehensive chemical blending and packaging companies. PAK prides itself on high personal customer interaction and the thorough value of our service. PAK operates locally, nationally and internationally servicing a broad range of accounts. Our chemical processing capabilities encompass industrial, institutional and consumer goods including highly technical products for the Federal space program. We can manufacture your own formulations or utilize PAK Technologies’ formulations to meet precise product and cost standards. Whether your needs require a corporate brand, private label package, or custom formulated multi-purpose products, you can depend on PAK Technologies from start to finish. Our business is in finding ways to help you succeed.